Rail transport consumes less energy, cause less emission of carbon dioxide than road transport, far less than air shipping and has become a perfect complement to sea & air shipping, the very first choice of transportation mode under the circumstance of global low carbon economy. Generally speaking, 95% of the cargos transported on China-Europe cargo block trains are 40ft containers. 20ft containers have to be loaded in pair on railway wagons and it's not easy to match two 20ft on one railway wagon because they need to have similar weight for safety concern. Then what can we do with cargo less than one 40ft container load? This is the exact reason we are organizing consolidation service for LCL cargo as well. Chengdu, the capital city of Sichuan Province, is located in the western part of China. It used to take a very long time (more than 45 days) for cargo originated in West China to reach Europe through the traditional transportation route, which combines feeder vessels on Yangtze River and reloading on mother vessels at Shanghai port. In 2013, Chengdu launched the first cargo block train to Europe. By 2016, Chengdu has already three schedules to Europe per week. 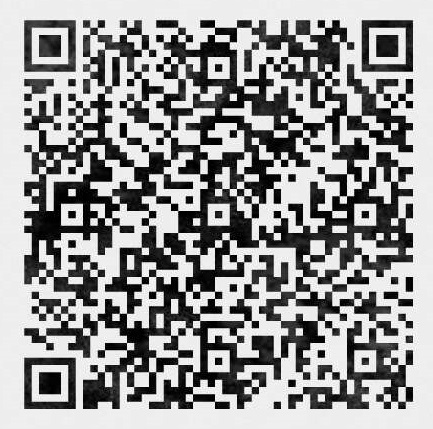 Chongqing is next to Sichuan province. The traditional way is feeder vessel via Yangtze River + mother vessel at Shanghai port. To shorten the transit time, Chongqing started to study the speedy railway route via the Asia-Europe land-bridge since 8 years ago. In 2011, the first cargo block train was launched from Chongqing to Germany. By 2016, Chongqing has 3 schedules per week to Europe. 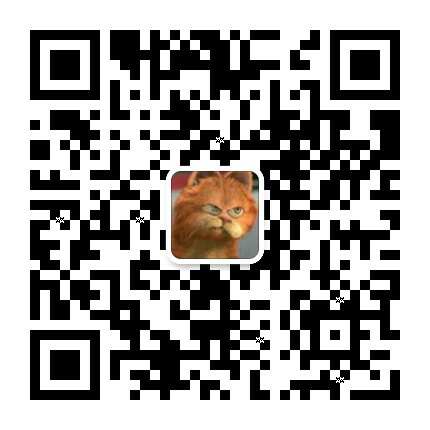 Yiwu is located in Zhejiang Province, the Eastern part of China. For long Yiwu has been the wholesale market for overseas buyers. Zhejiang province contributed 12.1% of the total export from China (in terms of value) in 2015, which reflects the importance of this area to China economy. 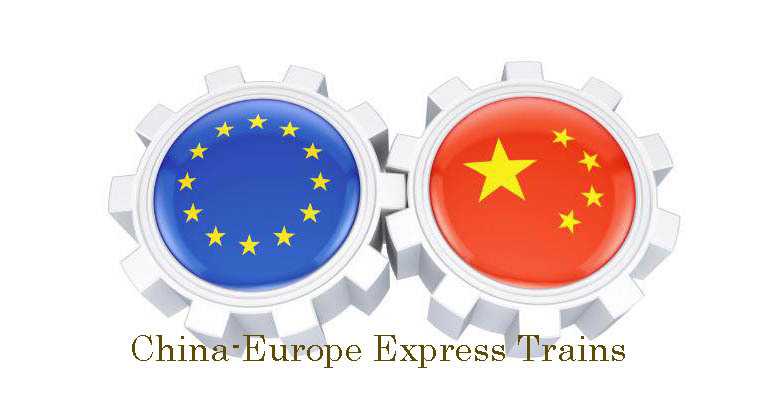 In 2014, the first cargo block train from Yiwu to Europe was launched. 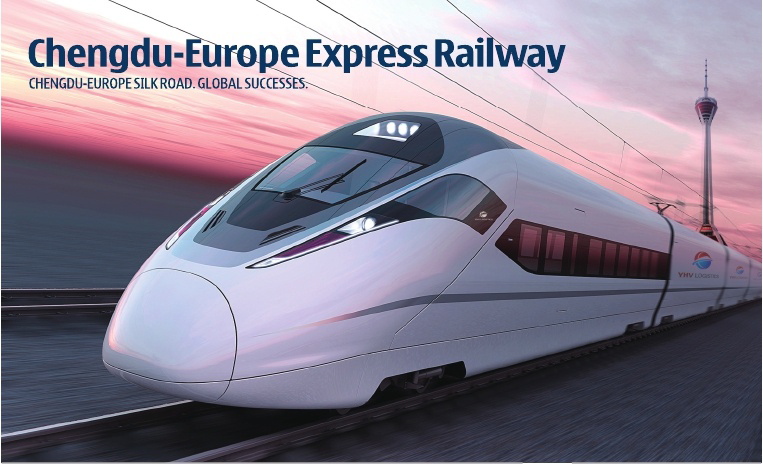 By 2016, Yiwu maintains weekly speed train service to Europe covering Malaszewicze of Poland, Duisburg of Germany and Madrid of Spain. Changsha is the capital city of Hunan Province, which is located in Central China. 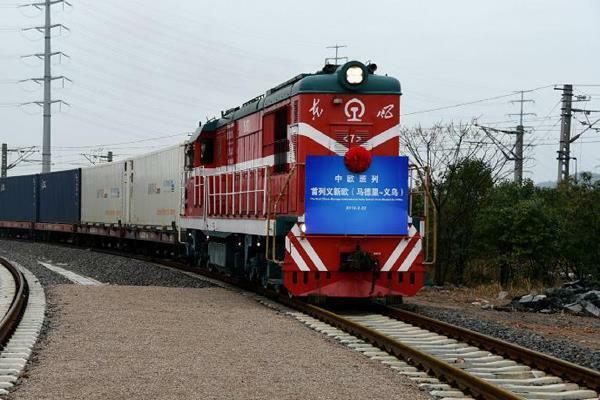 The first cargo block train from Changsha to Europe was launched in 2014. 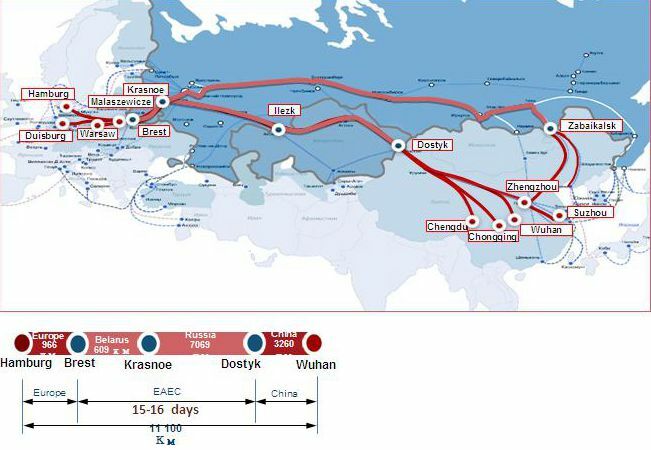 By 2016, Changsha maintains weekly speed train service to Europe covering Malaszewicze of Poland and Hamburg/Duisburg of Germany. Zhengzhou, located in central China, is very convenient for combining cargo from neighboring provinces on its high-speed cargo train to Europe. 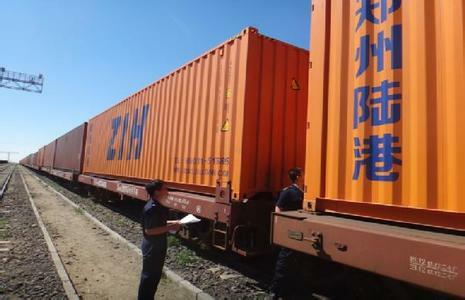 The first cargo train from Zhengzhou to Europe dated back to Jul 18th,2013. Thanks to the surging volume, in 2016 the frequency has improved to three schedules per week westbound. 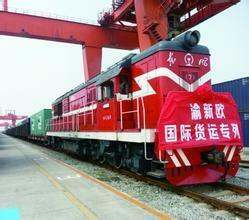 The first regular cargo train from Wuhan, China to Europe was dispatched on Apr 23rd, 2014. In 2015, Wuhan operated totally 228 trains and 14,912 TEU, combining 92,500 tons of cargo worth 3.3 billion RMB. Wuhan ranks No.1 in growth among all the 27 cargo trains between China and Europe. In 2016, Wuhan operated more than 300 trains between China and Europe. Hefei is the capital city of Anhui Province in the Eastern part of China. 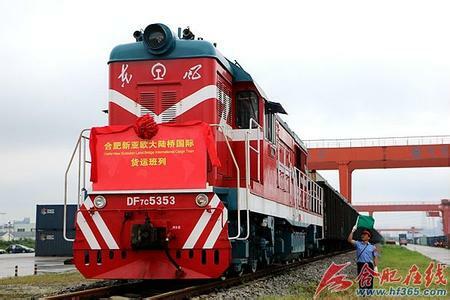 The first regular cargo train to Europe launched on Jun 26th,2015. Currently Hefei has 4 schedules per month, reaching Malaszewicze, Poland in 13 days and Hamburg, Germany in 15 days. Even if the number of direct discharging train stations is limited, we can reach all over Europe by train or truck within 1-3 days after arrival at the discharging station.